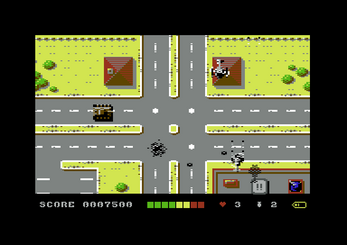 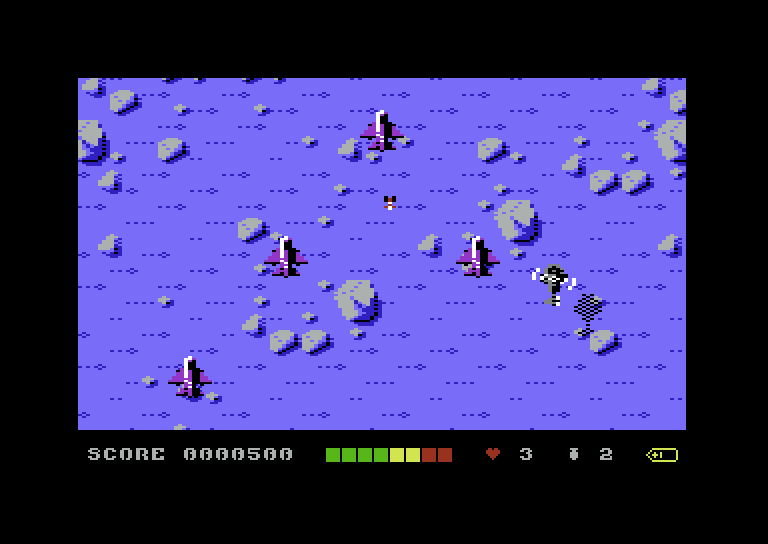 Please note that the downloadable Commodore 64 version available here is primarily for use with emulators, but can also be run on a real C64 via hardware such as the 1541 Ultimate II or Turbo Chameleon. For emulator users, we recommend VICE, as it works on a variety of operating systems and is very user friendly. In fact, we've even included a pre-configured Windows, Mac and Linux version of the emulator with the download as well as some simple user instructions (we're nice like that). 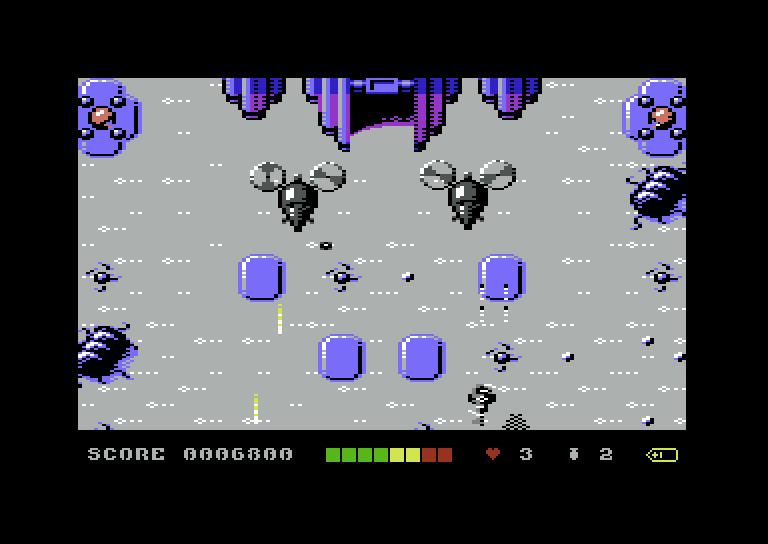 NOTE: AVIATOR ARCADE II is available for download here as a .D64 file only. 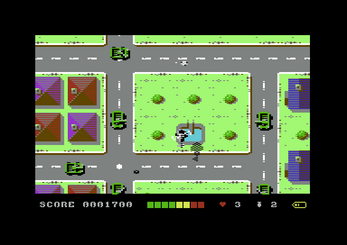 The cartridge version was designed for the GMOD2 PCB, which is not currently emulated on hardware. 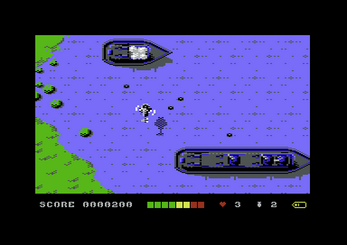 To avoid confusion, the cartridge ROM has been omitted from the download. 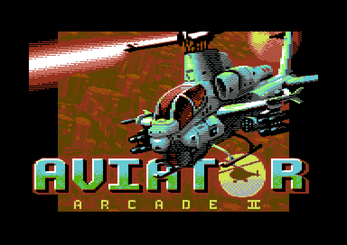 Buy AVIATOR ARCADE II on Cartridge/Disk for your Commodore 64 Computer! 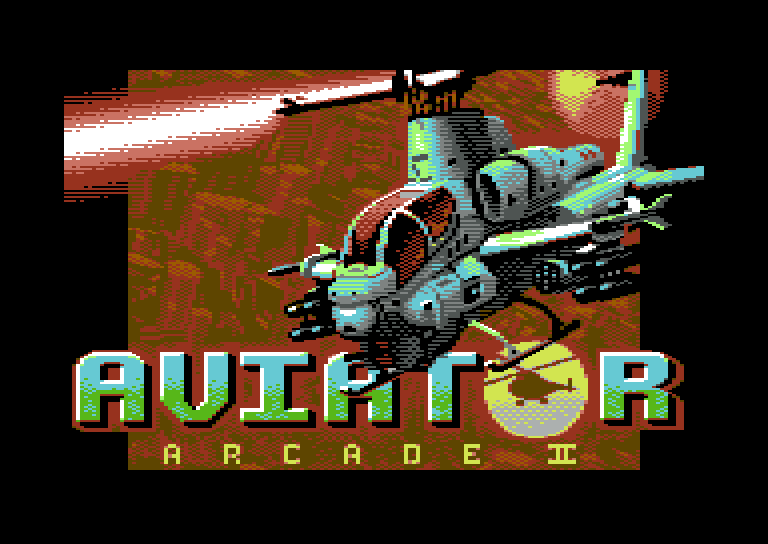 Enjoyed AVIATOR ARCADE II on your modern-day PC? 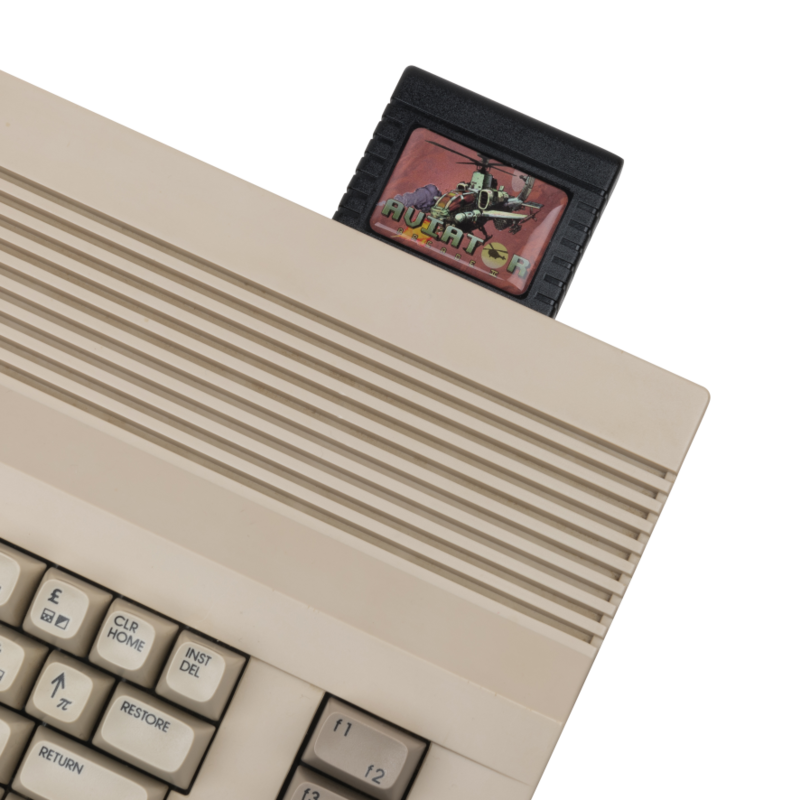 Have an old Commodore 64 stashed away in the loft? 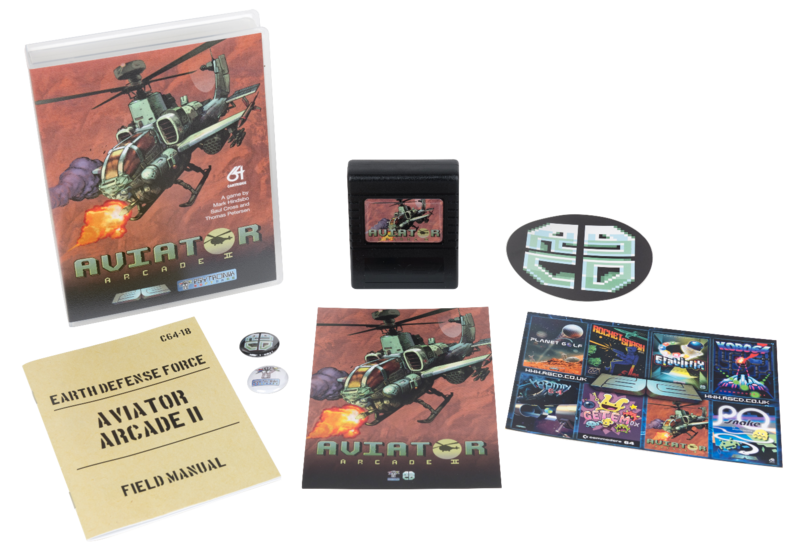 Well, you'd be a fool not to grab a physical copy of the C64 version - it comes boxed with a vinyl sticker, badges, an A3 poster, full-colour manual and even a postcard, just like in the good old days! 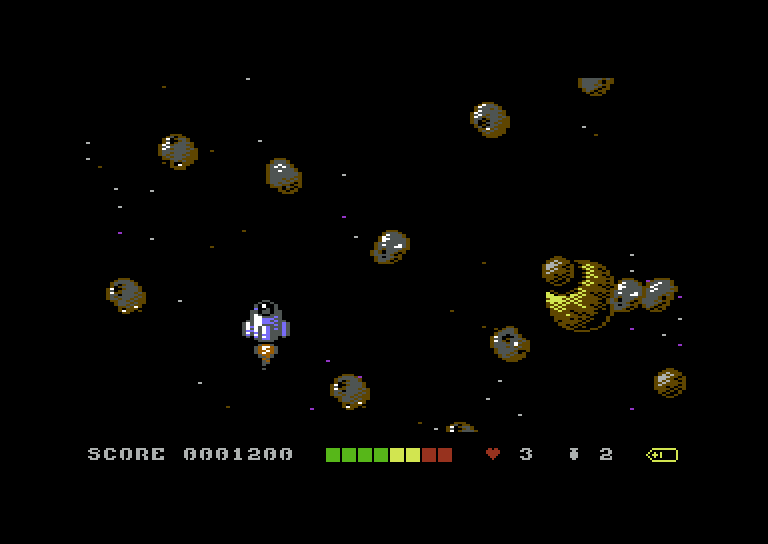 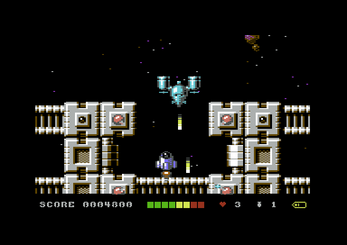 AVIATOR ARCADE II will also be available soon to order on 5.25" diskette from our comrades at Psytronik Software. 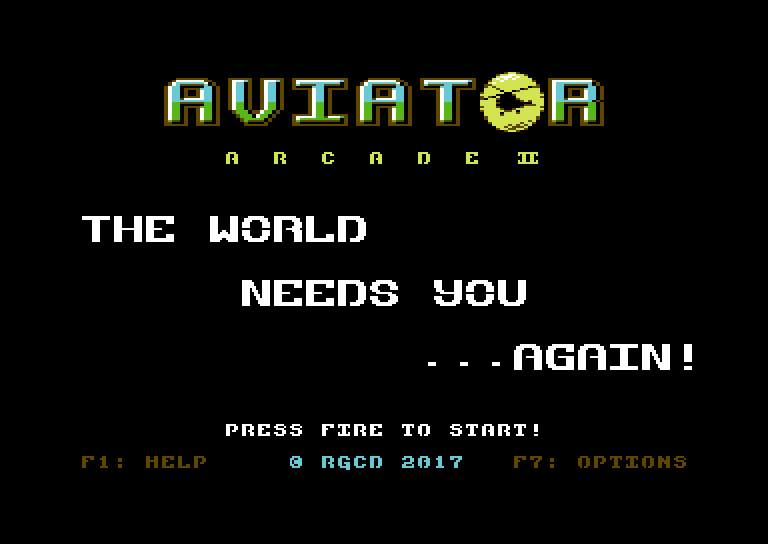 Aviator Arcade II will be arriving in 2018! 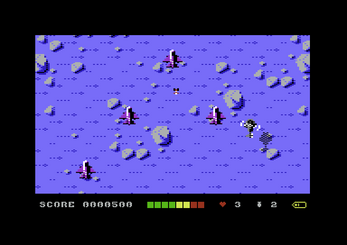 Any chance of a C64mini version? 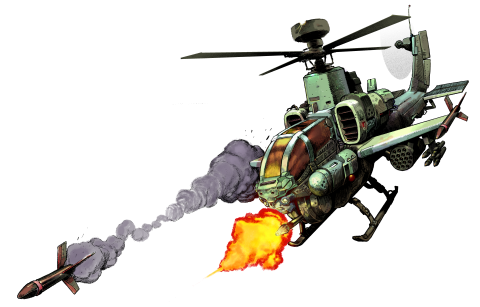 Big Thanks to the developers!